Like many CIOs, Jackie Lucas believes Meaningful Use is the right thing to do because it’s moving the industry forward. But she also believes the planning and execution of such a major initiative left something to be desired. Lucas would have liked to see a more holistic, layered approach to health IT that addressed workflow concerns — something more like the deliberate strategy that she has tried to implement at Baptist Healthcare. 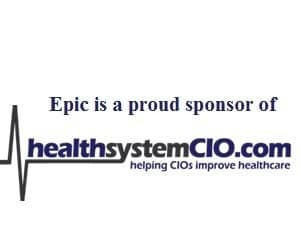 In this interview, Lucas talks about the challenges community hospitals face in adopting CPOE and meeting quality measures, the experiences she has had in maintaining multiple vendor partnerships, and what healthcare CIOs can learn from other industries. That’s what the physicians had said in our organization—‘give me both at the same time. Don’t ask me to hold a paper chart in one hand and enter information with the other. Bring me on when it’s electronic.’ And that was our goal. We had a really good plan, and then Meaningful Use came along. We have an assessment that can help providers understand where they are with any vendor product, and what steps it’s going to take to get to where they need to be. And that’s not vendor specific, so if you had Greenway installed but you’re not already attested, we could help you understand what you’re going need to do. When we pick a product, we pick somebody that can interface with what we have. And that was another thing about Allscripts—their EHR/PM products are able to work with everybody. So we’re not so concerned about that. If we want to get to this electronic health record and health information exchange that this is all supposed to be leading up to, we’ve got to be able to share the data with all the systems and all the products. Even if you’ve got an ICD-10 product that’s going to meet the requirements, you’re probably going to have to have upgrades. You’re probably going to have more products than you think in an organization that are going to have to be upgraded. We’re in the healthcare business—we just happen to be in IT. That’s the way I look at things. So more than worrying about interfaces, I worry about how people will absorb all of this change. That’s my biggest concern. Guerra: Have you formed an opinion overall of the Meaningful Use project? How do you feel about what they are requiring hospitals to do and the timeline in which it needs to be done? Lucas: I think the timeline is challenging, on a lot of fronts. If you are a teaching organization, I do think you have an edge in having medical students and residents and probably already having that high percentage of CPOE, so you really can focus on those quality measures and not having to move all the moving parts at one time. I think, though, it’s been challenging for the entire health IT industry. It’s been challenging for the vendors; it’s been challenging for hospitals, health systems, and physicians. My original thought on it I think still holds true, and that is that I wish the industry had taken more of a holistic approach to this and really looked at how this was layered in, looked at the workflow, and really looked at what made sense to build an electronic health record. I just feel that to some extent, we took pieces of requirements. Will it get us there? Yes, but did we put it together in such a way that we were layering it in that we were doing the building blocks? I really believed in the HIMSS analytics building blocks. For instance, we implemented bedside barcoding almost eight to ten years ago, and we’re at 95 to 98 percent. You can never be at a 100 percent because you’ve got mixes that you have to do on drugs, and we’re really close and some of our smaller hospitals are at that 100 percent. So we’ve had that implemented a long time, but it got no value in stage one. There are so many pieces that I really would have liked to have seen the building blocks laid out—here’s the piece to get to that electronic health record. And maybe you got some of the more infrastructure base pieces in first, then layered the physicians in at Stage two and three, therefore making it not such a bar for the community hospital. There is a lot of infrastructure like bedside barcoding that could have been put in at Stage 1 with not as much impact on the physician, therefore letting us put that infrastructure under the physician so that when they did step up to CPOE, all the pieces were there. We were building our electronic health record, working with our vendor partners, and that’s how we were doing it. Because we’re community, we were bringing all of the infrastructure and the pieces it impacted—nursing and pharmacy—to the table, and our last piece was going to be the physician documentation and CPOE. And that’s what the physicians had said in our organization—‘give me both at the same time. Don’t ask me to hold a paper chart in one hand and enter information with the other. Bring me on when it’s electronic.’ And that was our goal. We had a really good plan, and then Meaningful Use came along. Now I have to have physicians entering CPOE orders without full implemented physician documentation, and I don’t think that we’re the only ones facing that. So that’s my thought on it. I respect what they’re trying to do and I think electronic health record is absolutely the right thing to do. I just wish that it had been built with more of the building block-type of thinking that allows for community hospitals to be able to put those building blocks in and build up to bringing the physician on as that last piece. That’s my personal thinking on it. Guerra: I think that your opinion resonates with many CIOs who are listening, and though they may not say it, I think lots of CIOs that had really nice plans and were moving things along wish they never saw Meaningful Use. Lucas: I think it’s the right thing to do to get to the electronic health record. It’s what we were all working for, so I’ll never say it wasn’t the right thing to do, because it is moving the industry. So it’s having the desired goal—it’s creating jobs as in the stimulus part of it. You can already see that, so there are some really good things about it. But I think most CIOs had really looked at their organization and how to bring this about and had that layered plan. We had a plan that our physicians, our executives—everybody bought into. We were on our way. We were going to do our documentation implementation before CPOE so we could bring those physicians on, starting with our hospitalists by implementing T-Systems in our ED. We had all that planned out and we really had to go back and start carrying the building blocks and reorganizing them, and you just don’t see the path as well as you saw it before. And it’s been hard for the physician who says, ‘But you told me we had a plan—what happened?’ And then you have to explain it to them, and you have to help them understand that they’re going to have the same issues in their practice. We’re talking primarily here about stimulus in the hospitals, but there’s stimulus in the physician practice, so it has been an opportunity to help the physician who is kind of upset with the inpatient side and said, ‘Why are you doing this, we had a plan?’ And you say, ‘Well, you probably had a plan in your practice too, but let’s talk about now what you’ve got to do there.’ We’re investing a lot of resources in helping our community physicians understand what they need to do to meet Meaningful Use in their practice. We’ve opened up stimulus offices in all of our hospitals that can help our community independent physician understand Meaningful Use. We’re doing assessments in their practices to help them understand what they need to do to get there, and we’re offering a community program, so that also helps us be able to communicate what we’re doing on the hospital side. Guerra: Let’s talk a little bit about the ambulatory environment that you have. Do you have anything consistent out in the clinics and practices that you own? And then we’ll talk about the independent physicians. Lucas: In our employed physician practices, we will be implementing the Allscripts Enterprise Electronic Health Record and their Practice Management product. Guerra: And you said you’re doing some Stark deals for the independents? Lucas: We are. We’re working with our community and independent physicians to also offer Allscripts’ MyWay and Pro products. They would be purchasing those products. We are offering some subsidy; we certainly have worked with our attorneys to go through the process of what we can provide under Stark. Guerra: So that’s just for Allscripts. If they want to select, let’s say, eClinicalWorks, they’re on their own? Lucas: If they want to select or already have eClinicalWorks or NextGen—and we have some of our physicians on the McKesson Practice Partner product that we’ve done a community program with in the past—what we’re doing for the physician that has already made a selection or wants to select Greenway or something, we’re providing that RelayHealth Information Exchange from McKesson. We’re providing that health information exchange interface. We will provide our stimulus office to help them understand what they’re going to need to do to meet Meaningful Use, no matter what product they own. We have an assessment that can help providers understand where they are with any vendor product, and what steps it’s going to take to get to where they need to be. And that’s not vendor specific, so if you had Greenway installed but you’re not already attested, we could help you understand what you’re going need to do. We’re providing the RelayHealth Information Exchange to connect up our whole health system for HIE, and we will provide that no matter what the product. So we’re really looking at it as a program for all of our community physicians, but if you want to do something with the electronic health record, we are providing the Allscripts community program. Guerra: And how did you make that selection to the Allscripts product? I wonder if it would have been easier for you to pick the McKesson product, and if it would have been an easier integration with the inpatient system? Lucas: We do use the McKesson product, and I do want to say that. We have practices with McKesson products that we have hooked up via RelayHealth. We looked at the state of Kentucky and we looked at our independent physicians and what products they already had implemented, and there were a large number of the practices already on Allscripts. I would say it was probably the dominant product certainly in Kentucky and certainly in our physician practices, so we made a decision to go in that direction. Guerra: How would you compare the integration and data flow between, for example, your McKesson inpatient system and the Allscripts ambulatory product using the RelayHealth HIE Integration, versus that of an Epic shop that has Epic in the inpatient and ambulatory settings, all on the same database. What are the differences there? Is there much of a benefit for the one environment where it’s all on the same database? Lucas: That would a hard assessment for me to make, because I’m unfamiliar with the Epic product. I read about it; I understand that it’s a good product, but I haven’t looked at their product since about 1997. So it would be hard for me to tell you what we have versus what Epic has. We feel good about the direction that we’re going. We’re used to running a lot of interfaces. I had count yesterday, and we have hundreds of interfaces. We have a very good team; McKesson works very closely with us, and T-Systems works very well with us on their interfaces. So when we pick a product, we pick somebody that can interface with what we have. And that was another thing about Allscripts—their EHR/PM products are able to work with everybody. So we’re not so concerned about that. We use the McKesson portal for all of our physicians to get information. We’ll be connecting the T-Systems and Allscripts products to that portal. We’ll be using RelayHealth for our community-based physicians, and we do have a lot of community physicians who already have products like Greenway and NextGen. We have to connect those, so think that may be one of the places that we do have some advantage over the Epic-type product. I would ask someone that’s talking about Epic, how do you connect up the affiliated physicians that are on Allscripts and NextGen? I just don’t know the products well enough with Epic to say how does that connect versus our ability to connect all of those through Relay. Guerra: So RelayHealth works well for you. Tell me about the integration that it allows you to have and the dataflow. Lucas: We exchange the demographic information; we exchange lab results, transcription, radiology—all of that information we exchange today with RelayHealth, and we have been for a number of years with a number of practices within our hospital systems. So we have that exchange of data. We use the McKesson portal to create that view across the record for the physician. We do rely heavily on that to create that one view to be able to see the McKesson inpatient and the T-Systems ED and we’re implementating Allscripts into that as well. We’re working through that piece today where that will also be also connected to the portal. So we really rely on that portal to create that one view of the information. Obviously we don’t have everything in one database—we’re not pulling all of Allscripts, all of McKesson, all of T-Systems and putting that all into to one single database. Lucas: We’re going to be working with Relay—they have a virtual record that they’re really looking at as a ACO-type strategy. We’re talking with them to understand what they’re doing with that. I think anytime that you’re in an environment where you don’t just have one product—which most of us do, unless you’re with Epic, and even most of the Meditech hospitals have some other products somewhere—you’ve got to be able to share data. That’s the whole premise of HIE—we’re going to have to be able to share it from different products, and I think different vendor products work better for different organizations. We’ve been partnered with McKesson for a long time. So we’ve been using those products for a long time. One of the questions I would ask folks that are making some of these changes from any vendor is, how do you justify the dollars? How do you justify the return on investment in the environment where we’re working in today, which is sort of like shooting hoops and dancing on roller skates in the whole healthcare industry? How do you justify the dollars to make those big changes? That’s the question that you really have to ask. Even though we’ve been partners with McKesson and Hewlett-Packard and we work with T-Systems and are now working with Allscripts, we’ve always had other products that we had to be able to interface and work with. We’ve been doing the RelayHealth interfaces with affiliated doctors for some time. So I think the whole key for all of us, no matter what vendor we use, is that if we want to get to this electronic health record and health information exchange that this is all supposed to be leading up to, we’ve got to be able to share the data with all the systems and all the products. Guerra: You mentioned running hundreds of interfaces. One of the things that I’ve been thinking about recently is how ONC needs to better understand the ramifications of requiring changes to different applications because of the downstream affects—not just to the vendors having to rewrite code, get it certified, and issue it to their client base, which has to install it, but then all the ancillaries that hang off a particular module. All of those interfaces have to be rewritten, checked, and tested. When you have hundreds of interfaces, I would guess it can be pretty daunting. In your opinion, does that scenario make sense? Tell me your thoughts on that. Lucas: You hit the nail on the head. Every one of those changes does have an absolute downstream impact, and certainly when I came to Baptist it was a best-of-breed organization from an IT prospective. We did the whole RFP; we went out and looked at the products, voted, brought in the product, and interfaced it. And I think we did a good job of making that happen. So even though we have a partnership with McKesson, we do have a lot of interfaces, because some of their products certainly have to have interfaces between them. So we’ve always had this environment. We have our process that we go through to try and make sure that we’ve tested all that, and we’ve worked through it, but it is daunting. I think it’s daunting in any environment to make those changes. So yes, I think that has to be looked at, but it’s certainly not just the interfaces. We were talking about physicians earlier—every one of those changes, unless it’s strictly behind the scenes in the database, is going to have an impact on workflow. At the same time you’re trying to move to Meaningful Use and make all those workflow changes like those quality measures, we’ve got ICD-10. We haven’t really talked about that being implemented. And even if you’ve got an ICD-10 product that’s going to meet the requirements, you’re probably going to have to have upgrades. You’re probably going to have more products than you think in an organization that are going to have to be upgraded. So you’ve got that going on, you’ve got healthcare reform, you’ve got more and more compliance requirements, and you’ve got the whole accountable care organization. I sometimes worry, and my staff brings this up—how does everybody swallow all this change and not forget that the number one thing is the patient and the quality of care? Because that is what everybody is there for; that’s what the physicians and clinicians are there for, and it’s what we’re there for. I always remind my staff that it’s about the patient. It’s about quality care and safe care. It’s about the folks out in those hospitals that are taking care of those patients; it’s not about IT. That’s a philosophy I have as a CIO. We’re there for that organization. We’re in the healthcare business—we just happen to be in IT. That’s the way I look at things. So more than worrying about interfaces, I worry about how people will absorb all of this change. That’s my biggest concern. Every one of those changes has an impact somewhere on all those downstream systems. Guerra: Does the idea of a patient safety incident resulting from some value that moved from one application to another and didn’t flow or didn’t translate properly, or an interface that didn’t work properly with all of those changes—does that keep you up at night? Some CIOs stay up at night worried about the network going down or infrastructure issues, and I would imagine that some worry about patient safety and those types of things. What keeps you up at night? Lucas: I think it’s all the change. What I was just talking about—for the whole industry; not just IT, but all that change and how that’s going to impact the quality of care. How are we going to make all of this happen. And I’m not talking about Baptist, but the whole healthcare industry. So it’s all pieces in moving parts. That’s what really keeps me up at night. It’s the data flowing through systems—but you can have just as big an issue from somebody entering the data into the wrong field if it doesn’t have an edit, because you changed their process. And they’re human. When you get right down to it, we’re all human and that’s the concern I have. Are we layering way too much in the industry as a whole, and all those pieces fall under that. We do the best we can to do all of the testing. We have strong test plans, we have signoffs—we absolutely do everything we can, like everybody else in the industry I’m sure, to make sure that those things don’t happen. But I think there’s just as much risk on the human side. Guerra: So the government wants to change things to improve care, but if they change everything too quickly, there are going to be some problems getting there. Does that make sense? Lucas: Yes. That’s the thing that keeps me up at night—looking at the whole, and all of the other things that are pieces of that.